Posted by Dave Emory ⋅ January 9, 2019Post a comment Email This Post Print This Post Tweet This! Introduction: This is the fifteenth of a planned long series of interviews with Jim DiEugenio about his triumphal analysis of President Kennedy’s assassination and New Orleans District Attorney Jim Garrison’s heroic investigation of the killing. This interview begins with an excerpt from the book that encapsulates the synthesis of the intelligence agencies, infiltrators into Garrison’s investigation, media hatchet men designated to destroy Garrison’s reputation and Clay Shaw’s defense team. Destiny Betrayed by Jim DiEugenio; Skyhorse Publishing [SC]; Copyright 1992, 2012 by Jim DiEugenio; ISBN 978-1-62087-056-3; pp. 228-229.
. . . . About Oswald, [Bernardo] DeTorres said he knew he had not killed Kennedy because DeTorres knew the people who were actually involved–and they were talking about it before it happened. What we are about to describe in this chapter and the next is something that neither Garrison nor Sciambra could have likely imagined at the time. But with the aid of extensive interviews, plus declassified documents, for the first time we will now outline a three stage program to deconstruct Garrison’s case and to make sure Shaw would be acquitted. This first stage began very early with DeTorres, a man who–while working with Mitch Werbell–may have been involved with Kennedy’s murder. But it will continue with certain other “singleton” penetrations by people like William Gurvich and Gordon Novel. The second stage of the effort will center around the wider efforts of former National Security Agency officer Walter Sheridan in alliance with the CIA and NBC. That effort was coupled with the work of intelligence assets/journalists James Phelan and Hugh Aynesworth. When Garrison would still not give up, a third phase set in with two prongs to it. James Angleton’s office took over in September of 1967, and, as we have previewed, Angleton’s endeavor was then allied to, and expanded all the way up to Director Richard Helms in 1968 and 1969. With operations that could even be discussed in public or for the record. But which, as we shall see, HSCA Deputy Counsel Bob Tanenbaum saw certain documents about. . . . In this program, we noted Novel’s work with the FBI, as well as CIA. Noting a bunch of apparent “hangers-on” around his residence, Novel realized that they were FBI. They were interested in having him monitor Garrison for the bureau, which he did. Jim notes that the Wackenhut Corporation (formerly Southern Research) was also monitoring Garrison’s communications. It was an outgrowth of the FBI. Supplementing analysis of CIA Garrison infiltrator William Martin (also highlighted in FTR #1044), we set forth Martin’s work for Guy Banister. “Life” magazine cover featuring Oswald, two Communist magazines and the weapons he supposedly used to slay JFK and officer Tippitt. Key points of discussion about Aynesworth. Prior to the assassination of President Kennedy, Aynesworth had networked with J. Walton Moore, in charge of CIA operations in Dallas, Texas. Aynesworth was applying for membership in the assassination. Was networked with Marina Oswald, helping to disseminate the official lie about the assassination, and concocting a preposterous story about Marina saying Oswald had planned to kill Nixon. Worked with people associated with CIA’s anti-Castro Cuban milieu in conjunction with Life Magazine’s “re-investigation” of the JFK assassination. Henry Luce’s Life and other publications had a history of working with the intelligence community. 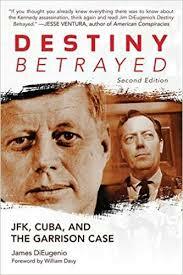 Disseminated disinformation about Garrison/JFK for Newsweek. He informed for both the FBI and Lyndon Johnson about Garrison’s inquest. Disseminated disinformation about David Ferrie’s associate Alvin Beauboeuf. This disinformation ran parallel to Walter Sheridan’s disinformation efforts in this regard. Was instrumental in frustrating Garrison’s attempts at interviewing CIA Cuban operative Sergio Arcacha Smith. Aynesworth networked with Clay Shaw’s defense team. Review of his hit piece on Garrison published by The Saturday Evening Post. His networking with intelligence agencies in conjunction with his journalistic activities. His professional association with Robert Loomis, who had a long career publishing disinformation books covering-up this country’s major assassinations. (Gerald Posner’s notorious Case Closed is a prominent example. Phelan also networked with Clay Shaw’s defense team, helping to introduce into the trial testimony the preposterous “jet effect” syndrome with regard to the head shot that sealed Kennedy’s fate. This preposterous concoction maintains that the violent tossing of JFK’s body to the back and to the left by the fatal head shot was because the shot (supposedly from behind) created a tunnel in JFK’s head which, when it channeled the blood and flesh torn from Kennedy by the bullet, created a “jet” that propelled Kennedy backward.